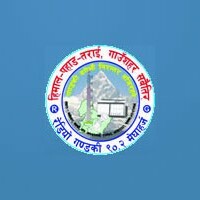 Radio Gandaki is an FM band radio broadcaster in frequency 90.2 MHz. It has 1000 watt transmission power transmitter with maximum coverage of area in West Nepal. It has a production studio in the heart of the country-Pokhara and the transmission from the height of Mattikhan, Syangja district so that people can listen the radio wherever they go in west Nepal. Radio Gandaki can be listened in more than 32 districts of Nepal and all around the world online via www.gandakimedia.com. It has about 25 Lakhs listeners on radio set and has many listeners abroad who have been listening Radio Gandaki through internet.